I was so excited to come home to a package from Murchison-Hume! They are a natural household company that originated in Australia and is now based in LA. They are people, pet, plant safe, 100% cruelty free, and don’t test on animals. They make all sorts of products; bathroom cleaners, stain removers, dish soap, hand creams, glass cleaners and more! 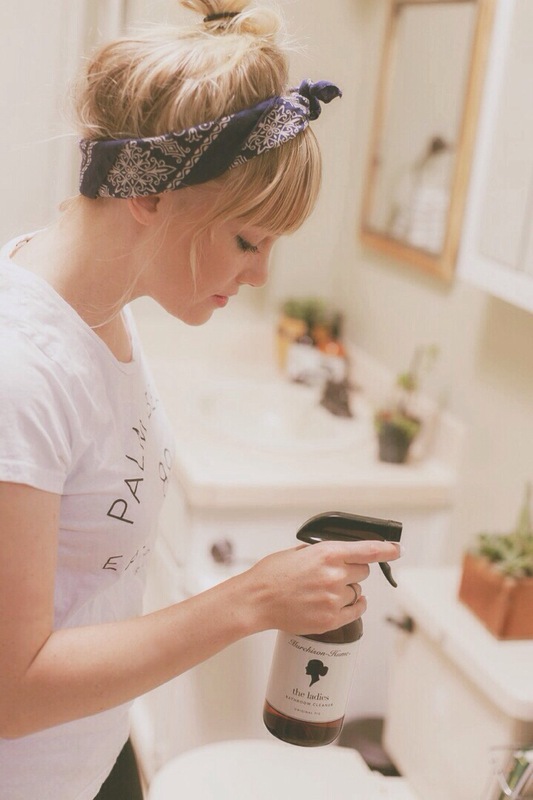 I put all my products to the test and they work wonders! My bathroom mirror has never looked more spotless. 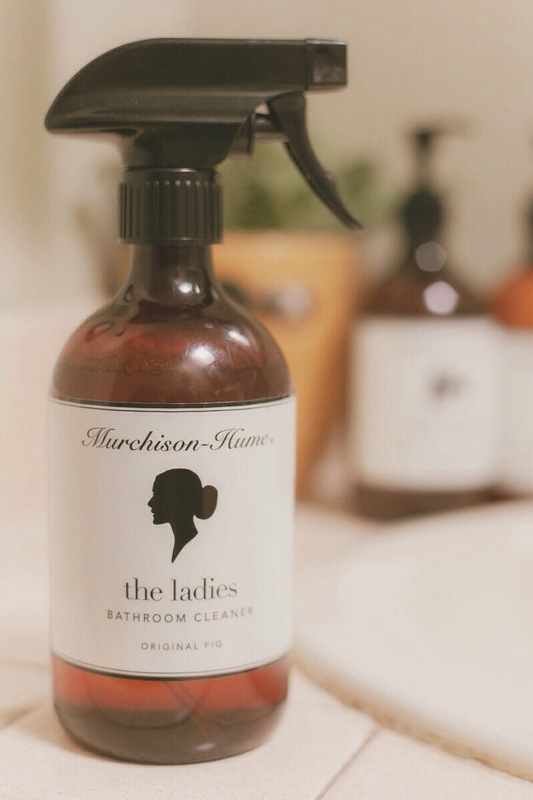 This product is “The Ladies” bathroom cleaner and the scent is “Original Fig.” I was so excited about the way this smelled that I wanted to clean my whole house with it! 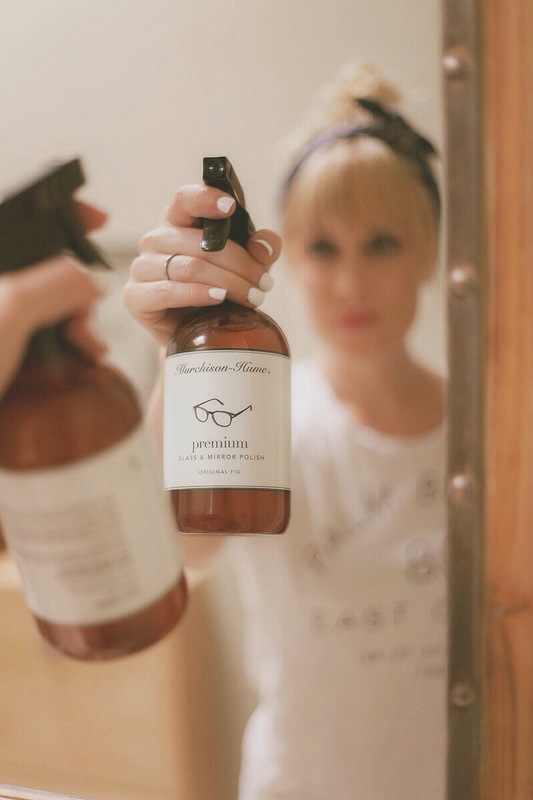 It smells so refreshing and works really well as a multi-purpose bathroom cleaner, using it on the counters, toilet, and shower. And the price is only $7 for a 17oz bottle! 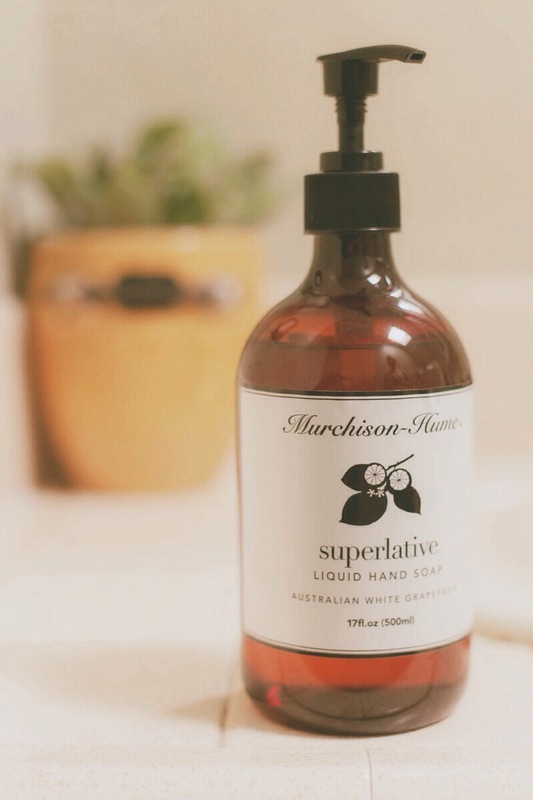 The “Superlative” liquid hand soap leaves your hands feeling soft and clean without drying them out. It has nourishing shea butter and calming chamomile. The refreshing scent is “Australian White Grapefruit” and is $14. 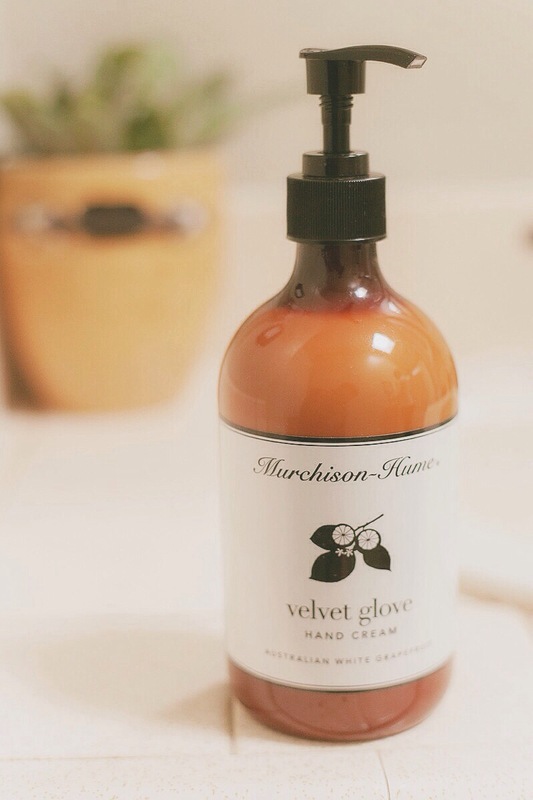 The “Velvet Glove” hand cream in the scent “Australian White Grapefruit” has permanently found a home next to my bathroom sink. It is a very lightweight hand cream that absorbs quickly and leaves hands feeling so silky! It contains natural seed oils and shea butter that are very nourishing for the hands. This product is $25. The “Premium Glass & Mirror Polish” in “Original Fig” has the same amazingly refreshing scent that leaves any glass surface spotless! It cleans and polishes and prevents dust from re-settling. 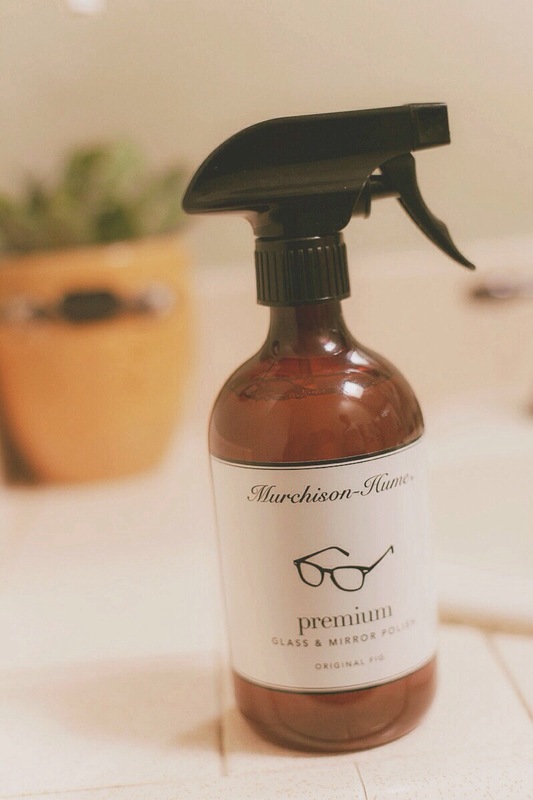 I even uses it to clean my eye glasses 🙂 This product is $7 and I highly recommend it! 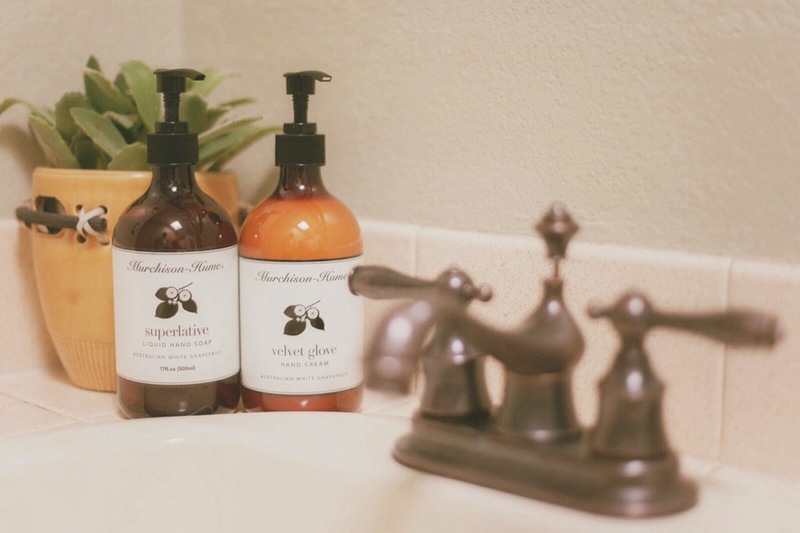 You can find all Murchison-Hume products at www.murchison-hume.com!